Giving you the next generation of Sports Stars! LAS VEGAS — Dale Earnhardt Jr.’s fans were on their feet, sponsor representatives were ready to invade victory lane and Junior Nation could envision what would have been the best start to a season ever — two wins in three races. Then, with two turns of the final lap remaining, Earnhardt Jr.’s Chevrolet produced the ugly sound no driver leading a race late in the day wants to hear — the dreaded sputter. Earnhardt Jr.’s Hendrick Motorsports team — with crew chief Steve Letarte at the helm — gambled on fuel mileage in the closing portion of Sunday’s Kobalt 400 and lost, finishing second to Brad Keselowski, who passed Earnhardt Jr.’s struggling Chevrolet on the last lap. Earnhardt Jr. finished second. Letarte apologized to his driver on the radio afterward. It’s more than OK. With the Daytona 500 victory followed by second-place runs at Phoenix International Raceway and Las Vegas, Earnhardt Jr. is still off to the best start of his career. 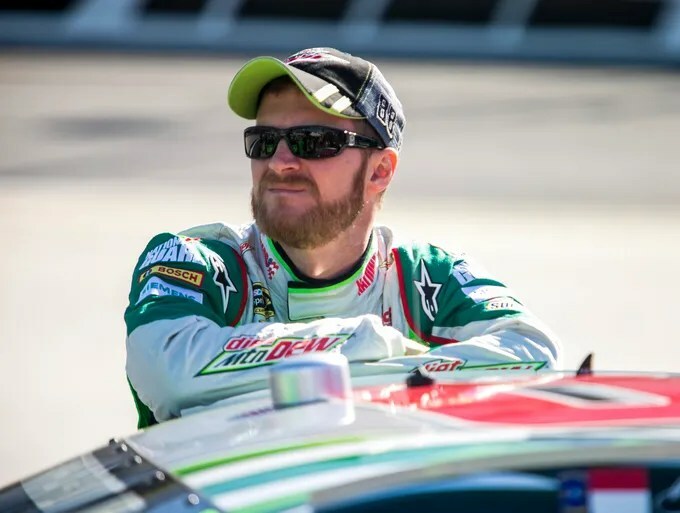 In NASCAR’s new world, as Earnhardt Jr. admitted, his team’s decision to go for broke late in the race would not have been the same last season. With a Daytona 500 victory in his back pocket, Earnhardt Jr. is virtually assured of a spot in the Chase for the Sprint Cup, giving his team the “freedom,” as Earnhardt Jr. put it, to shoot for the moon. Points totals are no longer as important. “The new format isn’t perfect, but it definitely is showing that it has tons of positives,” said Earnhardt Jr. “It’s better as far as entertainment for our sport. It gives us freedom. It was nice to be able to do the things we did today. Earnhardt Jr. led laps 223 through 266 of a scheduled 267 and had a comfortable lead over Keselowski entering the final 20 laps of the race. But everyone on pit road knew Earnhardt Jr. was playing a risky fuel game. Letarte had estimated that Earnhardt Jr.’s fuel load was about one lap short of lasting until race’s end. Earnhardt Jr. went into saving mode, slowing earlier in the turns to conserve gas. That allowed Keselowski to move into the shadow of the No. 88, a surge that forced the Hendrick Motorsports driver to return to full-speed racing. 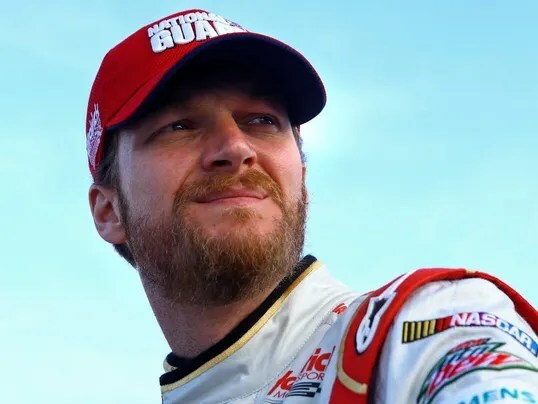 The last time Earnhardt Jr. started the season with a victory — in 2004 when he won the Daytona 500, he followed that with a fifth-place finish at Rockingham and a 35th at Las Vegas. You are currently reading Dale Earnhardt Jr. off to best start of his career at ARE YOU NEXT.